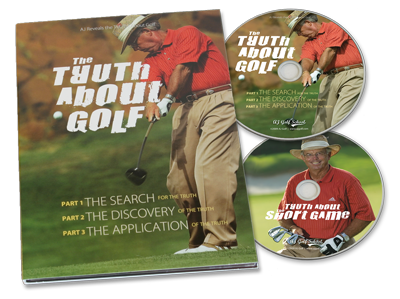 In the Truth About Golf 3-Part DVD you’ll learn that hitting consistently great golf shots is a lot easier than you think. Here A.J. dispels all the golf swing myths that have been making this game so hard for all of us to learn. Longer, straighter, simpler - A.J. teaches you how to improve with every club in the bag (118 minutes, 2010). AS SEEN ON GOLF CHANNEL.